Claythorpe Mill is one of Lincolnshire’s loveliest surprises. Tranquil and beautiful, Claythorpe is a little gem at the heart of 2.5 acres of loveliness. Sit by the river, meet the birds and animals, soak up some history, have a fabulous lunch, or let the kids off the leash in our woodland play area. There’s a little something for everyone... and something for every little one. In our small, riverside wildfowl garden, exotic ducks and birds walk free by the water, and the owls will give you a stare you won’t forget. Our otters, marmosets, pygmy goats and wallabies are simply adorable and you can have fun feeding the birds or the fish. 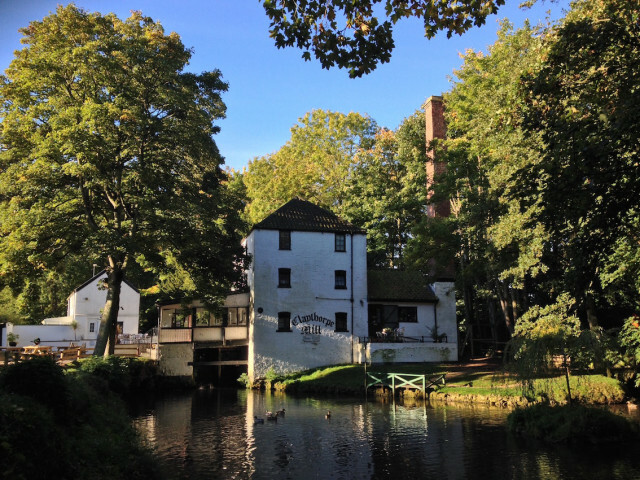 Built around 1720, our Grade II listed former mill ran until the late 1970s, powered by a rare turbine. You can see some of the old mill works in what’s now the café. Our tea room is exclusively open to ticket holders, but don’t forget – your first admission includes an annual pass that lets you return whenever you like for 12 months. Groups are welcome - pre-booking for groups is essential. Claythorpe, Alford, Lincolnshire, LN13 0DU.